Have you thought about a sea change and are looking at selling your business? Well you are not alone, I myself, am on a sea change and loving it. Lift is too short to be in a business that is causing you stress and you are not enjoying it. So, why not take the first set and ask for an obligation free consultation? That way we can go through the process of selling your business as we have with hundreds of people just like you. It might be the best 3o minutes you have spent. To learn more about how we can help you call us today. If you have dreamed about being in your own business and are thinking about buying a business? Before you do anything, why not give us a call? We have hundreds of great businesses, one of them could be your perfect business. It might be time to stop dreaming and start doing. We make the process of owning your own business easy for you. So, why not give us and ring and we can put you in that perfect business for you. It cost free, so why put it off, be your own boss. AAA Market Services are your local business brokers, with years of experience in helping people buy and sell businesses. Why not be on of the hundreds of people we have helped buy or sell a business? 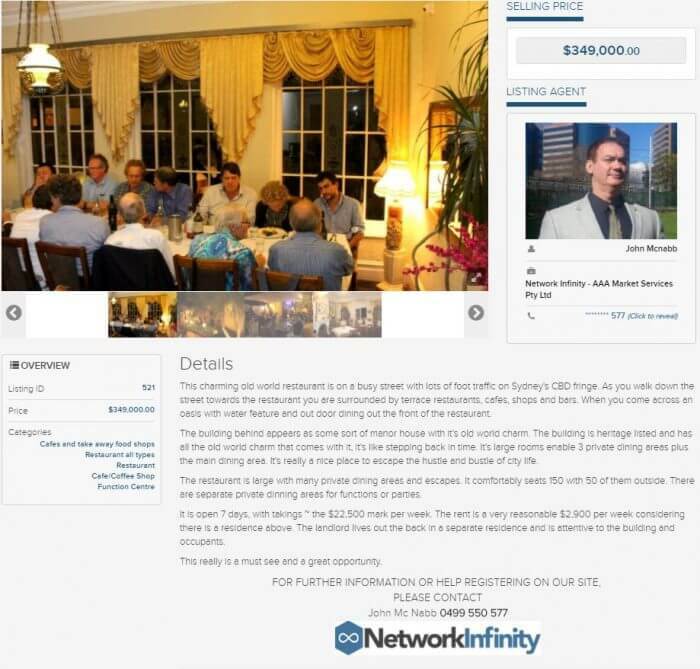 We trade as Network Infinity and have hundreds of great businesses for sale. Our network covers most of Australia. Contact us for some expert advice and let us help you through the difficult task of buying or selling a business. Why not call us today for an obligation free consultation?